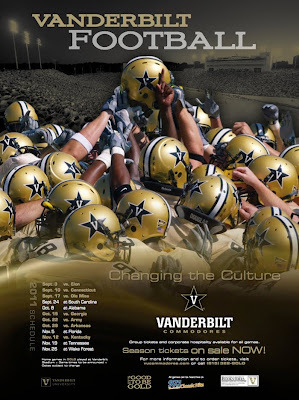 Vanderbilt seemingly did the impossible in 2012-13 with back-to-back nine-win seasons to close out the James Franklin era. Derek Mason took over in 2014 and the Commodores tumbled to 3-9. It's a long climb back and a midseason stretch that has the team playing on the road five of six games won't help. James Franklin was an assistant at Maryland and had a coach-in-waiting deal to succeed Ralph Friedgen. When the Terrapins parted ways with Friedgen, they also opted not to honor the agreement with Franklin. In swooped Vanderbilt. The Commodores couldn't be happier. The team has gone to bowl games in Franklin's first two seasons and won nine games last year. Maryland, which hired Randy Edsall, has won six games in two seasons. Vanderbilt appears to have made a smart hire in James Franklin, who guided the Commodores to a 6-7 record in his first season as coach. 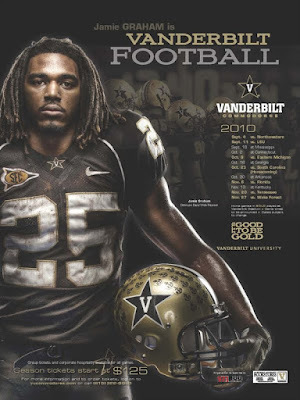 Franklin wasn't Vanderbilt's' first choice. The team originally made a run at Auburn offensive coordinator Gus Malzahn. But Malzahn, in an 11th-hour decision, decided to stay with the Tigers. Franklin was set take over for Ralph Friedgen at Maryland in one of those coach-in-waiting deals. However, that deal fell apart when the Terrapins opted for Randy Edsel. So after all the drama and trauma, Franklin and Vanderbilt finally hooked up. 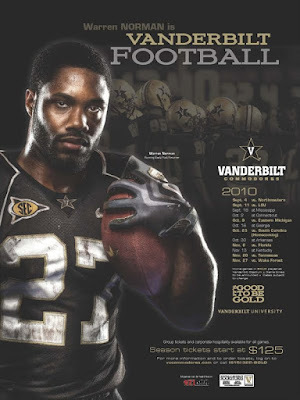 It couldn't have turned out better for the Commodores. Click the image to enlarge. Thanks to Bradley. Watch Vanderbilt center Logan Stewart hunt down Georgia noseguard Kwame Geathers and chop him from behind. Geathers then turns and punches Stewart with his right hand. Both players were suspended for half a game by the Southeastern Conference. 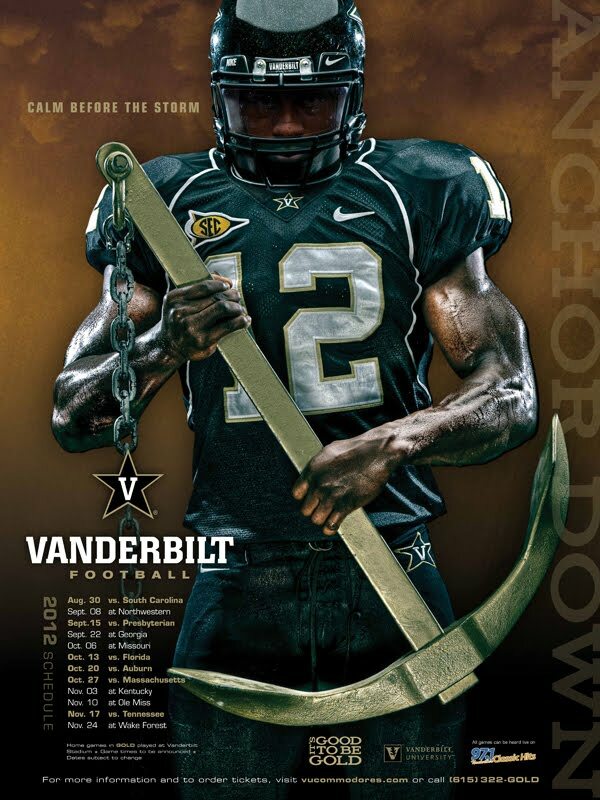 Vanderbilt's marketing department cranked out three posters for the second year in a row. 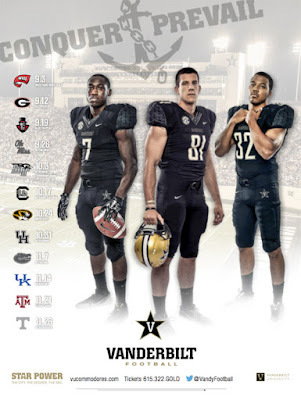 Besides the team poster displayed above, there is one for the offense and defense, displayed below. James Franklin, who was coach in waiting at Maryland, takes over at Vandy, and he welcomes back 11 starters on offense and eight on defense. Click any of the images to enlarge. Thanks to Steve. Vanderbilt didn't include Bobby Johnson as the centerpiece of its poster schedules, and that turned out to be a wise decision. 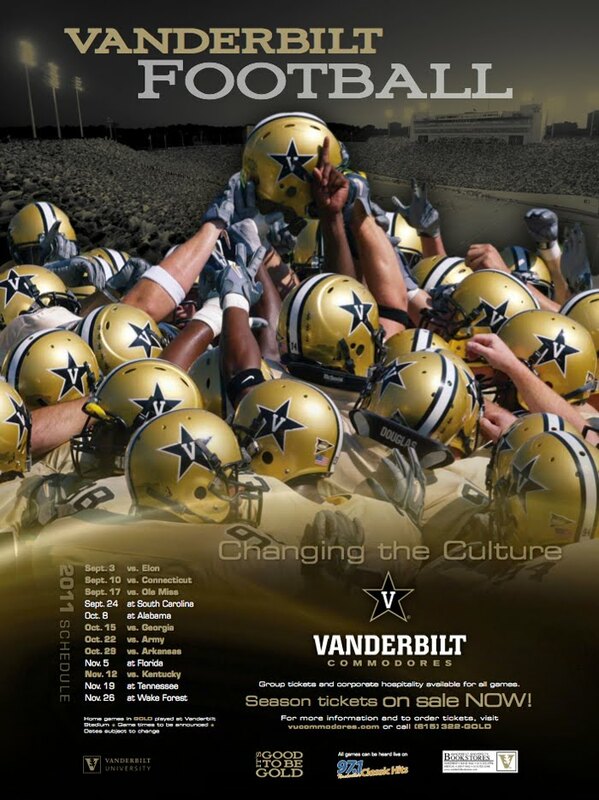 Johnson rocked the Commodores on Wednesday by announcing his resignation as coach, and offensive line coach Robbie Caldwell was named interim coach. As for the posters, there are three, each displaying a player: tight end Brandon Barden (top), defensive back/receiver Jamie Graham (middle) and running back/return specialist Warren Norman. As a run up to the start of the season, the Wiz will display one poster each day until our supply is exhausted. Last year, the site displayed 69 posters. Click an image for an enlarged view. Thanks to Steve.